During times of loss flowers can reflect the depths of your grief in a way words never can. Flowers at a funeral are a beautiful way to create a personal tribute and convey a message. 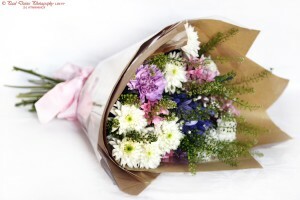 Flowers show sensitivity and show you care. At this difficult time Ruth is available for consultation in your own home or family environment. With a little bit of help and guidance Ruth can make the decision a little bit easier. Popular styles are coffin sprays, posies, pillow or cushions, hearts, letters or wreaths. All you need to do is decide and the delivery will be made direct to the funeral director. Or please call 01792 874109. 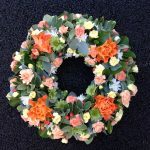 Sympathy and Funeral Flowers and all floral designs can be supplied to most places in South Wales – Swansea, Llanelli, Neath, Cardiff and West Wales.